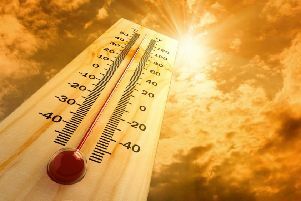 After heavy thundery showers, chilly breezes and overcast skies, summer might finally be arriving in Sussex next week as temperatures climb. The Met Office says that today (Friday) will still be relatively cool for the time of year (mid to high teens degC). But the weekend should see sunshine across the county, with temperatures in the low 20s. Tuesday (July 19) is currently due to be the best day of the week with a maximum of 27degC. At the moment there could be a light shower Wednesday (July 20) evening, but rainclouds are likely to be a rare sight. The longer range forecast is that across southern parts of the UK there will likely be some decent spells of dry, bright and warm weather through the second half of July, with only temporary unsettled spells when there will be some patchy rain. There is also a low risk of warm continental air bringing thundery showers at times. Temperatures will generally be near average for most areas through the period, though southern parts will likely see some warm, or even very warm days at times.